This tutorial introduces the capabilities of these multi-platform mobile development tools and even provides some Ionic and Firebase examples. A SASS-based UI framework designed and optimized for mobile UIs. The Ionic framework is also packed with lots of useful CSS components out-of-the-box. Kudos to Ionic for providing extensive documentation, examples, and starter videos to help simplify the learning curve and get developers up and running quickly. Firebase is a backend-as-a-service schema-less data system that provides real time data syncing without requiring any custom code to be written. Firebase makes much of your back-end development obsolete, thereby significantly reducing multi-platform development time. Data changes without code changes. All data changes are published to clients immediately, without any backend code modification needed. Ease of authentication. Authentication in Firebase is as simple as a single method call, regardless of the authentication method. 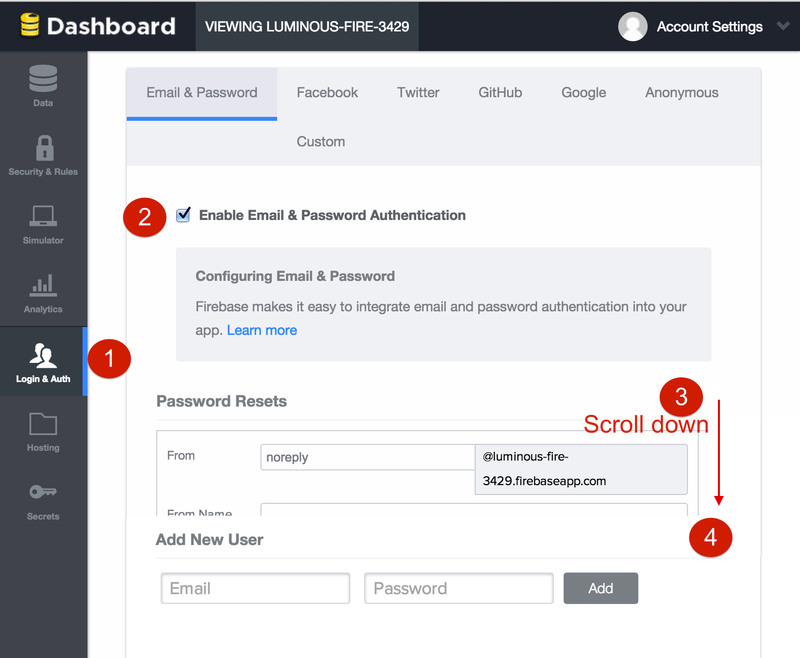 Supports simple email and password, Google, Facebook, Twitter, or Github based logins. Offline enabled. All Firebase data is offline-enabled, so an application can be fully (or close to fully) functional in disconnected mode. Applications are automatically synchronized when the connection is restored. Configuration dashboard. Much of Firebase (security rules, for example) can be easily configured through Firebase’s intuitive dashboard interface. JSON-centric. In Firebase, all data is stored and retrieved in the form of JSON objects. Firebase also offers cloud services for hosting the front-end code which can sabe significant time in deployment and maintenance. It is also worth noting that Firebase was acquired by Google this past October which has given it significantly more attention and visibility. Roommates often share expenses and rely on one another in times of need. So, let’s help roommates track their expenses, and help them reconcile at the end of the month. To make things even more interesting, let’s build a multi-platform mobile application that will provide real-time updates, so they can each monitor expenses as they occur. Now that we’ve decided what we want to build and we’ve been introduced to the tools, let’s get started! The first thing we need to do is install Ionic. Follow the installation instructions provided on the Ionic Getting Started page. (Note that Ionic has a dependency on NodeJS, so the instructions will require you to install that as well if you don’t already have it on your machine). The AngularFire 5 minute tutorial is a great place to begin getting familiar with Firebase. And if you’re a “tinkerer” or a tactile learner like me you may want to pull my implementation from GitHub and start playing with the code. Open the sample tabs app in your favorite IDE (I’m using Webstorm) and let’s start modifying it to build our roommates app. In www/js/app.js, remove (or comment out) the state for friend-detail.html. In www/js/controllers.js, remove the FriendDetailCtrl controller that is referenced in the state we deleted. The expenses array is what stores the items in the expense list, the addExpense() method adds a new value to the expenses array, and the getTotal() method gives us the total of all items in the array. A similar set of changes now needs to be made to tab-friends.html. Try doing this on your own, but if you run into problems, or want to verify that you’ve done this properly, you can refer to my implementation on GitHub. You will need a Firebase account. You can signup here for a free Firebase “Hacker Plan”. One you sign up, you will receive your root url, which will look something like https://<yourfirebase>.firebaseio.com. Enabling Firebase in our app requires two small mods to our app. Firebase is now enabled, just like any other AngularJS module. The above code adds three reference urls. One for the root and two for collections that we have named expenses and room-mates. This will create the expenses collection, and we can then start adding objects to it. A similar set of changes needs to be made to FriendsCtrl. I again recommend that you try doing this on your own, but if you run into problems, or want to verify that you’ve done this properly, you can refer to my implementation on GitHub. 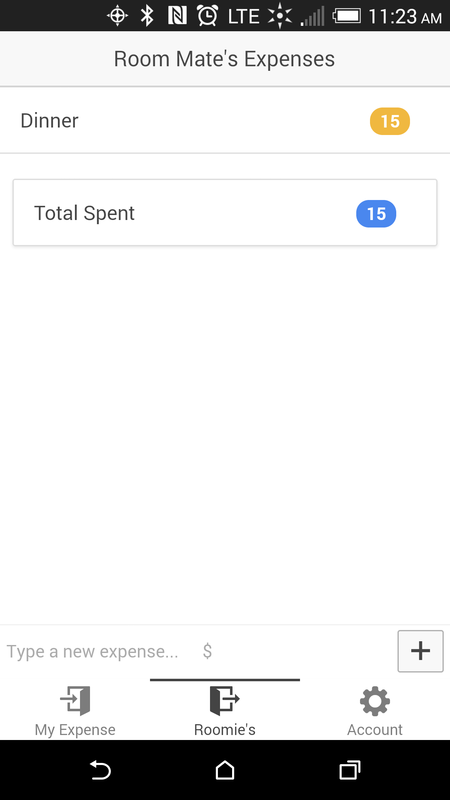 To verify that it’s working, while running the app on two different clients, add a new expense, and see that it shows up in the list on both clients. If it works… woo-hoo! 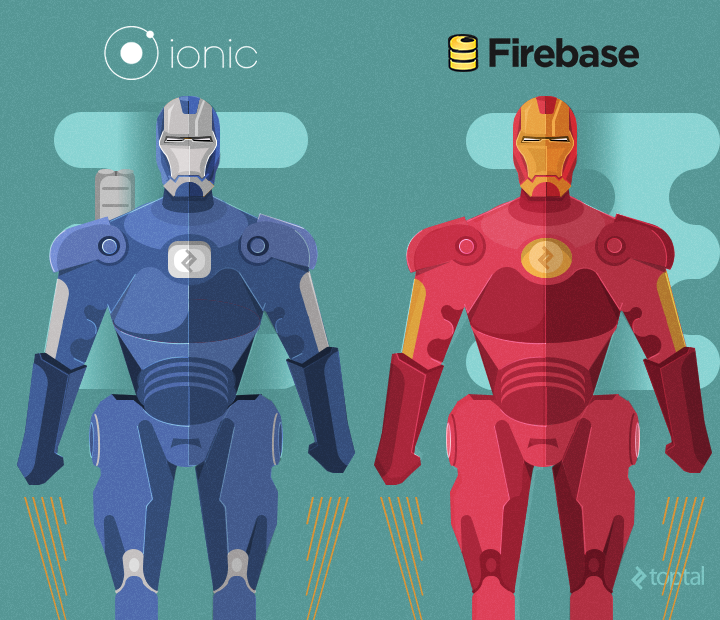 You’ve now successfully hooked up your Ionic app with Firebase! You can test your multi-platform app on different devices by connecting a device to your system and running ionic run android or ionic emulate ios. Refer to the Ionic documentation for more information on testing your app. Although the basic functionality is now working, one serious issue is that our app is currently completely insecure. The entire world can see your expenses, without any permissions or logins being required. This obviously needs to be addressed. In our case, we will write a very simple rule to block unauthorized users from accessing our data. To do this, open your root url, click on “Security & Rules” in your left action bar, paste the code below in your rules, and click Save. If you run your application now you will notice that there is no data. You can even try to inspect your request by using browser tools and you should see a message in your console stating that you are not authorized to view the data. You can authenticate your users by letting them create their own email/password combination, or use any of their existing Google, Facebook, Twitter, or Github login credentials. For email/password authentication, Firebase offers full set of API methods for password change, reset, etc. More information about authentication using Firebase can be found in the Firebase guide. Click the Login & Auth on the left side action bar. Select the checkbox to Enable Email & Password Authentication. Add your accounts using “Add New User”. You can add this in the account controller after successful login, or put a break point after successful login and run it in your console inspector. The multi-platform mobile app is still missing one important feature though. We want to distinguish your expenses from those of your roommate. Now that we have created two accounts, we just need to filter the data on our views. OK, the Home screen is now perfect. 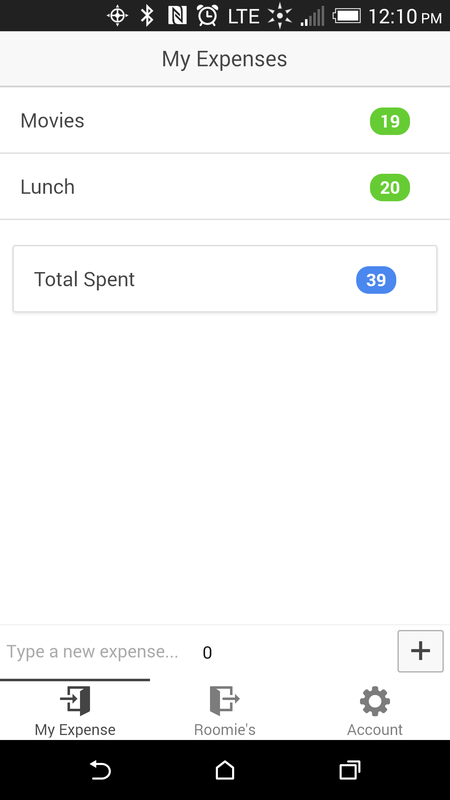 A user can only see and add his or her own expenses. That’s it! Install/update the app on both your device and your roommate’s device and you should be all set! This looks great. I will do this tutorial for sure. Nice article :) and awesome combination of technologies!! Is there a way to add business logic at Firebase (serverside) level to avoid unwanted data or operations to be performed by a malicious user? The first picture is awesome, play the game: "Find 10 Differences"
Not really Francisco. Unlike Parse, Firebase doesn't support "serverside code", which I don't think is bad at all. As Avinash said, there there is the Security Rules on firebase that makes sure that no unwanted transactions are made. Furthermore, you can setup a back-end app that executes firebase queries. I am using cordova with ionic and this is working like a charm. on the other side, Phonegap can be considered for developing apps if you are short of time to deploy your apps across multiple platform. But when it comes to performance its not the one that can be recommended. Application that are not graphically heavy is a good fit. I did develop couple of <a href="http://www.mobilepundits.com/PhoneGap_Development.html">apps in phonegap</a> but found it be too slow. Havent actually tried the code myself, but after reading through this, it seems like your getTotal function returns the total of all expenses and not that of the filtered list. Other than that, very good writeup. I've recently started using Ionic and found it fairly easy as Angular is pretty much what I've been doing the past few years, but I never heard of firebase. When I read it here, I was amazed. The reactivity is similar to MeteorJS but they handle hosting for you and I am assuming because they got the hosting setup, their authorization setup already has email servers configured for the forgot password and email verification. That's pretty neat! And its not that expensive if you compare it to hosting services. Pretty awesome! Thanks for this writeup, pretty keen to get going into hybrid development. Do you have any tool tip or an example set of how to make Expense Tracking offline in the local network without the need for internet. 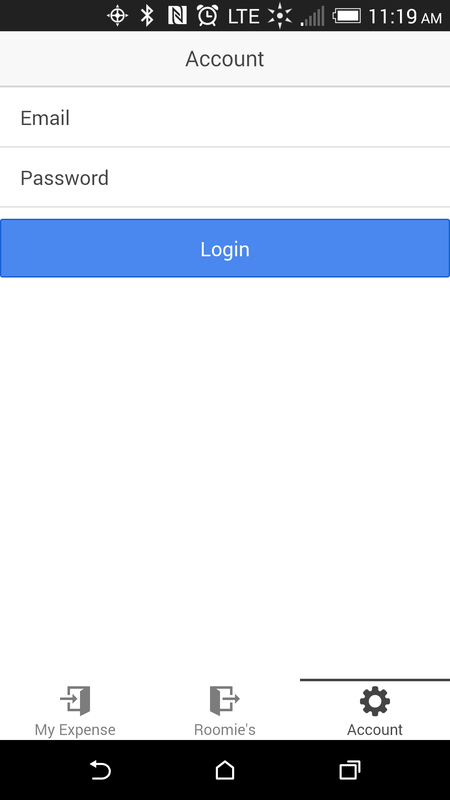 I loaded your code and can't figure out how to login to demo the app. also there is no sql create statements for the demo tables if i wanted to use my own firebase account. thanks. what happens if you are offline??? Currently getTotal() is adding all the expenses. How to add expenses for a particular user. While listing the expenses, filter:user.password.email is filtering only the particular users expenses. But total is adding all the expenses in the table. Can u help me to fix it? why you ask to delete www/templates/friend-detail.html file and commented our some of lines. very ambiguous tut Cant understand.!!! Avinash is a senior developer with experience designing & developing data visualizations that answer difficult questions by using the latest tools like HTML5 Canvas. A seasoned product development expert who coaches teams on collaboration while figuring out the best solutions to difficult problems.